What information does the consumer want from the wine he’s about to drink? 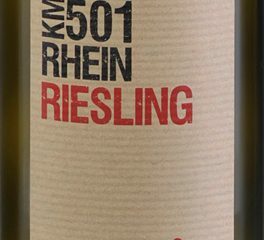 Today’s labels include the alcohol percentage, sometimes a little tasting note or some generic information on the winery—and more often than not the “contains sulfites” statement. Is this really enough or does the consumer want more information? Does he want to know about all the additives and processes used in winemaking? In the food industry, all ingredients and additives are mentioned on the label and some people have called for similar labeling laws for wine. They argue the consumer is entitled to label transparency as this may help people with certain food sensitivities (like gluten) or food practices (such as vegetarian or vegan) to make better decisions about the wines they choose to drink. Others believe that all this extra information would be overkill and confuse rather than help the consumer. However, label transparency seems to be gaining traction as a topic and at the RAW fair (one of two natural wine fairs held in London last week) an interesting debate was organized on the topic. The panel consisted of some pretty important and influential people in the wine world including: Isabelle Legeron MW, the founder or RAW; Clark Smith, Lecturer at U.C. Davis, Professor at CSU Fresno and Florida International University; Julia Harding MW who works with Jancis Robinson on her website’s Purple Pages; Jo Ahearne MW, wine buyer for Harrods; Guy Woodward, Editor of Decanter Magazine; Sebastien Riffault, winemaker and president of AVN (Association des Vins Naturels); The debate was chaired by Clive Barlow MW, Chair of the Education Committee of the Institute of Masters of Wine. Panel members were asked to share their opinions on label transparency before a discussion took place around questions from the audience. Legeron kicked off the discussion by talking about how she would love more transparency on the labels as this, in her opinion, is the only way consumers can make clear choices about what wines they would like to drink. 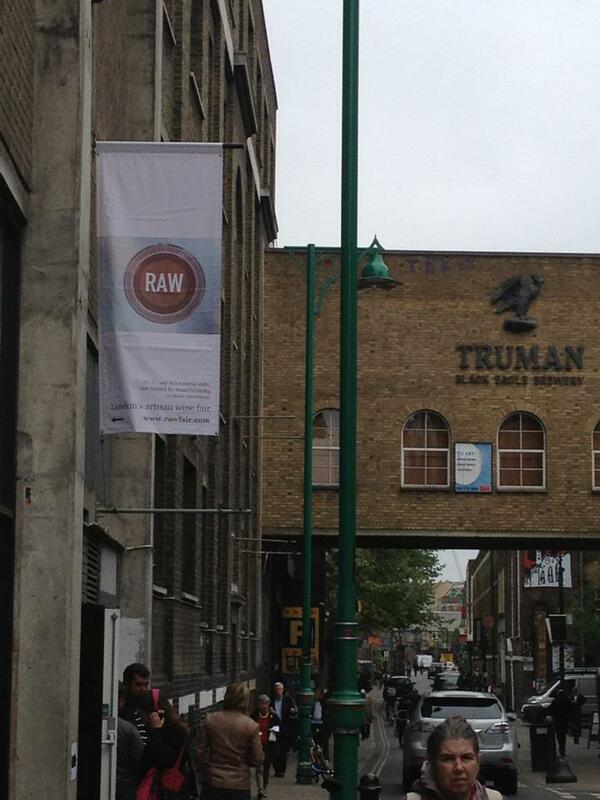 She led by asking winemakers involved in the RAW fair to disclose as much information as possible per wine. Indeed paging through the RAW tasting guide I saw the quantity of sulfites used for just about every wine as well as notes on fining and/or filtering. Riffault told a similar story when he explained that as a producer and an AVN member he chooses to make wine without additives in as natural way as possible. 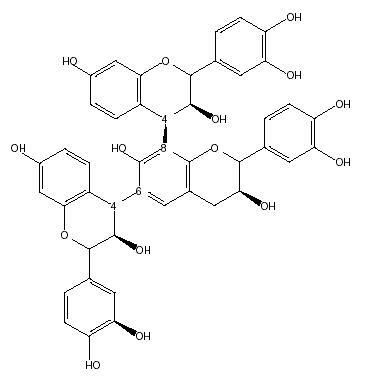 Only a very limited use of sulfur is allowed, and the total amount of sulfites may not exceed 30mg/l for red and sparkling wines (compared to 150mg/l allowed by the EU) and 40mg/l for white wines (in stead of 200mg/l). Only when members comply with these rules are they allowed to use the AVN label on the bottle. 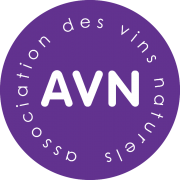 For wines made without any added sulfur there is a special label “AVN zero added sulfites.” Riffault believes that the AVN label is a simple way to communicate better with the consumer and it allows for greater transparency. At the other end of the scale, Smith, who is an expert in high intervention wine making, stated that in theory he has nothing against more disclosure, however this will require more work from the winemakers. He also raised the point that if all intervention were to be vilified there would be no incentive for the winemaker to disclose these practices. Ahearne’s point of view was that there is too little space on the back label and that extra information will confuse the consumer especially if all winemaking processes and additives used in those would have to be disclosed. However stating that a wine is suitable for vegetarians could be beneficial. Harding preferred more transparency and disclosed some information from a poll on Jancis Robinson’s Purple Pages on this topic. Interestingly, most consumers would like to have more information, whilst the trade and winemakers prefer to disclose less. The proof is in the pudding for the latter as Europe’s main appellation organizations have petitioned to be exempt from disclosing additives used for fining (e.g., isinglass, egg whites) from 2014 onwards. Similar consumer behavior results were also disclosed by Guy, who had run a poll on Decanter.com. The poll asked if consumers would like to have more information disclosed on the label and 49% of the readers expressed a concern about chemicals and said they would like more information. It seems there is a division in opinions between the wine trade and consumers about what information should be disclosed on the label, and how this information should be displayed. A list of additives, processes and agents used in winemaking methods would be incomprehensible to the majority of consumers, so it would be important to add context here. Also, as the back label is not very large, some people suggested making use of technology—perhaps by printing a QR code on the label instead of a list of additives. The interested consumer would have the option to scan the code which would take him to a website with a lot more information on the winemaking process and the amounts of additives. Though this idea seems like a wonderful solution, there seems to be no consensus as to where these web pages should sit and who should be responsible for gathering the information and updating the pages. Some people think this information should be available on the producer’s website whilst others prefer a site which is independently managed. Both solutions, however, imply that the wine producers are the key players in the level of disclosure. But as many producers still seem reluctant to commit to this—either because of the extra work this would involve, or for fear the processes they use would put off consumers—it is unlikely that more information will be readily available in the near future. Having said this, I do believe that the natural wine movement could play an important role in initiating more disclosure. It could be, as it is for AVN, a point of differentiation and a way to distinguish themselves from other wine producers. As consumers start to get a taste for this extra information they probably will demand more of it, which in turn will put pressure on other producers to disclose a little more. The debate conclusion was that more transparency will only be achieved in the long run by pressuring producers for more information. And this pressure can either be initiated by the wine drinking community or through official regulations. Nicely done Caroline and well reasoned. The way to start is just to start. I’m not being facetious. Winemakers should begin by making the information available at a detailed level. Fulvio Bressan does this through his community of fans. Domaine de la Tournelle in the Jura does a great job on this through detailed notes on their site on each bottling. This spreads to bloggers, to distributors and makes its way down to the store level. This action can happen today. I’m not a big believer that this will happen from the industry down first. It is interesting to note that the Coop supermarket in the UK already displays a full ingredients list on all its own-label wines (NB: Despite its name, the Coop is a mainstream supermarket in the UK, albeit a slightly more ethically aware one, than messrs Tesco, Sainsbury, Asda and so on). So far, no other supermarket has followed suit in the UK. 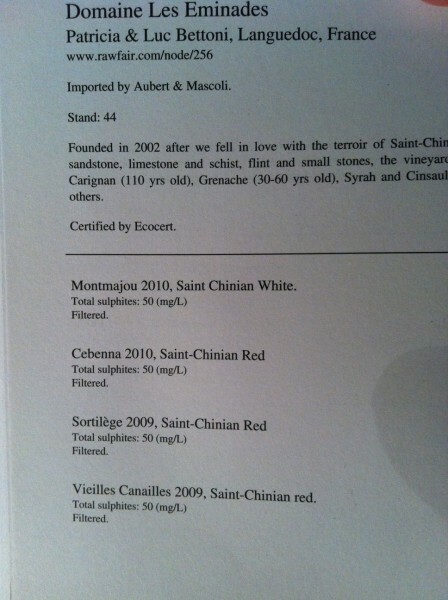 I have to say, the list of ingredients on mass-produced wines is hardly tempting. I don’t know if it’s had any effect (Adverse or otherwise) on sales! Thank you for covering the debate and the transparency stance we took at RAW. Simon we did try to get the coop to come and talk at the debate but noone was ‘available’ – maybe because it was a Sunday. In fact, I tried to get many industry people to come and talk (WSTA, Food Standards Agency, someone from the EU etc) but did not manage it. Apparently the coop has had positive feedback from their clients who did not seem put off by the ingredients but instead welcomed it. I think changes can only happen as consumers demand more information. I was very pleasantly surprised by the reaction from the RAW catalogue as lots of people commented on how much they appreciated the extra information – amateurs and professional alike. Thank you for your response Isabelle! The debate was great, and I hope it can be repeated at a later date and at that time include the co-op people and maybe food labelling experts as well. I have noticed indeed that a lot of my friends paging through the RAW guide are indeed pretty impressed by the extra information. I had a few replies on twitter as well where people actively requested more information. I think it is as Dusanmal says here below – people are not stupid and should be allowed to make up their own mind… I hope that more wineries will take the initiative and become more transparent on their label!! A few issues with wine labelling. 99% of the public has no idea what the ingredients are or what they are used for or their possible health implications. They are also gullible, ex. : they buy products with “natural aromas” thinking these are extracts of the flavour being imitated, which is totally misleading. They buy low-fat products that are laced with sugar and salt and are therefore fattening. Ingredients are not the whole story: procedures are even more important. Nobody adds sugar to wine any more, it is cheaper to use reverse osmosis to enrich poor quality diluted grape juice and not leave a trace of the procedure being applied. Mobile truck-mounted machines are used, so there is no evidence in the cellar either! Unless everyone is FORCED to indicate all ingredients, then the few conscientious winemakers that do will appear to be using more ingredients than industrial plonk. It’s not so far fetched. They did that for chocolate and juices, so why not wine? I appreciate the reply suggesting “fermented grape juice based drink” for anything other than grapes and yeast and winemaking process. I’m working on an opposite problem: a 100% pure Nero d’Avola wine made from a specific region in Sicily using only pure winemaking techniques…and they can’t put Nero d’Avola on the label because it has been vinified as a white wine. Except for the reputation of the winemaker’s other premium red Nero d’Avolas, consumers wouldn’t know the quality of the wine in the bottle. This argument has two sides, equally as frustrating. Indeed Brandy, label transparency would need to work within the appellation rules… I am however intrigued by the “white” Nero d’Avola and wonder how it is vinified. If as natural as possible in would imagine hand harvested and whole bunch pressed in a similar way as they do here in champagne with the red grapes. Do you know if they fine to remove residual colouring (I have seen this in the Provence) and if yes is the fining agent declared on the label? Caroline, chaptalizing is common practice in all regions in France except Languedoc and PACA (they add tartaric acid…), and it is useless, it does not improve wines. -Absolutely no “categories”. In every aspect of agriculture where those are in use, system is played and abused at customer loss. One rule for them all, no loopholes. -“Internet info” is nice add-on but should be banned as the only source of the information. The minimal info must be there, on the bottle, readable without Internet access or codes to interpret. Now something for wine makers: consumers are not stupid nor should you assume them to be such. List what you do to make wine and if that is palatable to the consumers – they’ll buy. If not, follow the free market pressure and change your ways. Customer is always first, not you. Regarding the vegan/vegetarian classifications: unless the grapes are grown hydroponically and then thoroughly washed before vinting, no wine is vegan or vegetarian, since each ton of grapes will have hundreds (if not thousands) insects/bugs collected with the fruit, and subsequently fermented/pressed with the juice. It would be a lie to call any normally produced wine vegan or vegetarian, unless we’re getting picky about what is and isn’t an animal. Are other food producers going to be required to list how many part per million rat feces are in my box of cereal or my sausage? What about bone fragment sizes in hotdogs? Percent mold and spoilage allowed in my box of frutie things? Why can’t the busybodies leave the dam stuff alone? The big deal is the alchohol level, and on many lables you can’t find it or can’t read it on purpose. I think that part of the issue is that rather than an ingredient label, many producers would like to have a “We Never Use X, Y, or Z” statement instead. Especially for synthetic pesticides, fungicides, or fertilizers. (It would spare the expense of getting USDA organic certified for the grapes.) They wouldn’t show up as ingredients. While it’s possible that TTB would allow it and may have already in some cases, sooner or later it’ll be a problem because FDA wouldn’t allow that on a can of vegetables, and it wouldn’t take much to sue TTB over it. Very interesting article. While I confess to spending a few poor years buying cheap wines by the label, I now have a more discerning palette (and forgiving bank account). That said, I am amazed by the number of people who buy “meh” wine they’ve never heard about simply because of the packaging. Turns out, beauty does sell. would by no means understand. It kind of feels too complicated and extremely wide for me. I’m having a look forward for your subsequent publish, I will attempt to get the cling of it!